An idealistic young doctor goes for an interview at a hospital for criminals with mental health problems. He is offered the job only if he recognises a doctor in this group of incurable inpatients. I recently joined forces with Barry from Cinematic Catharsis for our Great Hammer-Amicus blogathon. I have fond memories of these Amicus anthologies of horror tales, or as Barry. my partner in Horror would say… a portmanteau. This due to his expertise in this genre, as opposed to my more random horror ones usually from the 70s and 80s with random big acting names.. see my reviews on The Hand (1981) with Michael Caine, Damien : Omen II (1978) – with William Holden and Lee Grant – and The Man Who Haunted Himself (1970) with Moore, Roger Moore. I rest my case. Asylum / House of Crazies (1972), should not to be confused with the Horror film of the same name released in 2005. The former film had lots of big names from the 1970s and Peter Cushing and the latter Ian McKellen and lots of explicit scenes of a sexual nature. So make sure you get it right, particularly if you watching with a parent (no matter what age you are, believe me). Anyway. back to the post. The Amicus Anthology films always had with a wee back story bringing the characters together, as they recount their tales of horror each with a wee natty twist. A bit like a blogathon really.. well this blogathon. And may the horror begin.. and tune in for our blogathon tomorrow. The Asylum (1972) movie is creepily atmospheric from the start, taking place in an isolated Gothic Victorian era mental health hospital, isolated in the country and surrounded by fog. The opening music accompanying this a cross between frenzied stringed instruments (reminiscent of that scene in The Witches of Eastwick (1987) where Darryl met Jane) and dramatic music (as in any horror film, ever) add to the ambience. There are bars at the windows, and locks on the doors of this imposing building. Inside its dark, full of shadows. The top floor of the building houses the inpatients with locks on both sides of a barred door (solely controlled by the doctor using a button in his downstairs office) leading to their locked rooms with a service elevator bringing up the inpatients’ food. The inpatients isolated in their rooms, and alone in their distressing thoughts and beliefs. Dr Martin (Powell) arrives at the hospital, for an interview. And finds it’s an interview with a Dr Rutherford (Patrick Magee), and not Dr Starr, the Head Doctor of the hospital as he’d been led to believe. Dr Rutherford says he was attacked by Dr Starr a few days previously, and Rutherford is now is using a wheelchair as a result of this. And Dr. Starr now resides there as a inpatient after this breakdown. Starr is now more rational, but has taken on a new identity and life story. So with Martin is confident that he’ll recognise the doctor from this group of “incurable” inpatients. Rutherford says he may offer him a job there should he succeed in identifying him or her. 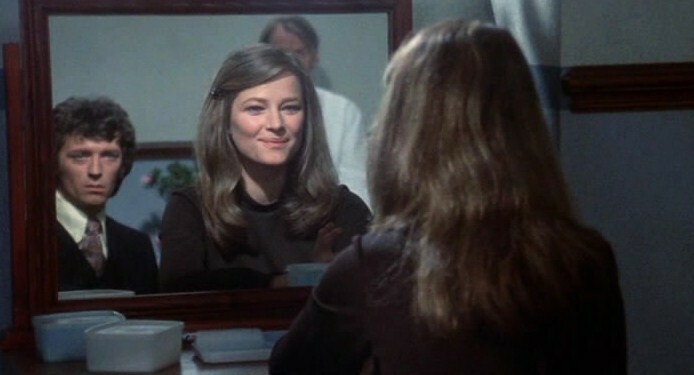 And we first meet Bonnie (Barbara Parkins) – singing to herself, and playing with her hair seemingly a tragic figure. As she gazes through the window, she tells her tale. And like Play School (1964-88) we go through the window and the story begins. Barbara tells that she had an affair with a married man Walter (Richard Todd). After they arrange to run away together, Walter says he’ll meet her when their plan is completed (immediately the wee hairs on your neck stand up). His wife, Ruth (Sylvia Syms) – a wealthy heiress – returns home after a voodoo course with an amulet promising her never-ending life, which he scoffs at. And then he invites her to the basement, to show her a present. It’s a chest freezer (this was a big thing in the 1970s, but still..) and he kills her with a handy axe. This was certainly the more chilling of the stories with the darkness, shadows and sound effects adding to the horror and suspense. It was great seeing Richard Todd again, an actor I enjoyed watching in the stylishly 1970s version of the horror Dorian Gray (1970) recently (with Herbert Lom also his co-star here). And he was fantastic at hamming up those facial expressions of horror and fear. Syms was fantastically OTT as his possessive wife, whose relief that his relationship with Bonnie was over was too short-lived. And the atmosphere led to a few twists, as Bonnie calls over to meet with him.. and of course goes to the basement to look for him. And more on her part in the story revealed. 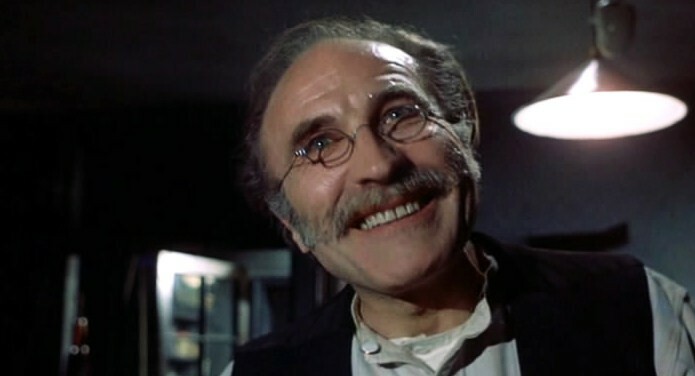 In Room no 2 there’s Bruno (Barry Morse), a tailor who we meet sewing a garment only he can see. His story begins after he and his wife’s are threatened with homelessness from his landlord, for not coming up with the rent. A strange polite sounding Englishman, Mr Smith (Peter Cushing) asks him to make a suit for his son. He must follow his detailed instructions, only working at specific times after midnight with a luminous material. But on delivering the suit.. (and watch to learn more). Cushing was superfantastic as the mysterious Mr Smith, his passion for his desired suit was almost heartbreaking to watch. As his motives came clear I felt the heartbreak and despair of this man. Bruno also seemed a sad character, played as passionate about his work and desperate to keep his business and look after this wife. The use of candlelight as we enter Mr Smith’s home as he dropped off the suit, upped the fear factor, and unsettled me reminding me of The Innocents (1961). Again the use of shadows, and the darkness were both unnerving and frightening and added to this plot. This part of the story, started well and appeared promising with all the ingredients of a possibly wrongly diagnosed patient. This as substantiated with Rampling wanting a lawyer as she’s been wrongly admitted. Immediately, I believed her brother Charles and the Nurse into a conspiracy to get Barbara’s inheritance. However, as Lucy’s role in the story was introduces and developed , led to a completely different and startling revelation. Finally there’s the mysterious Dr, Byron who appears a cold but charimg and charismatic man from the start. He has a hatred of Dr Rutherford. With Byron’s collection of creepy robot dolls – each resembling an old colleague, – he hopes to breathe life to them, as God did with him. This is dismissed as his “Occupational Therapy”. He’s even made one of himself, complete with teeny weeny wee working organs… as you do in Occupational Therapy. This film was added to my The Great Hammer-Amicus Blogathon with Barry from Cinematic Catharsis. Other posts with this cast include Dracula A.D. 1972 and Tales from the Crypt with Peter Cushing. This film was scripted by Robert Bloch who wrote Psycho, with the making of this movie reviewed in 2012’s Hitchcock biopic HERE. Britt Ekland starred in The Love Boat and Fantasy Island. Barbara Parkins starred in these two, and Hotel. Richard Todd starred in Murder She Wrote and Thriller. Robert Powell also starred in Thriller. Amicus made some fantastic portmanteau films and this is a favourite of mine. Other studios and producers have made them but Amicus seemed to get them right. And there isn’t a weak story in this film. Thanks for the review and a huge thank you for co-runinng this great blogathon! Thanks for the lovely words, so agree about Amicus , my personal fave of the pair for those anthology films alone. Hope you will join us next year for the second year of this blogathon! I sure will! I’ll look forward to it. In the meantime, I’m going to re-visit some old friends in the Hammer and Amicus films I haven’t seen in a while! I won’t miss the Michael Caine one! Will be good to have you on board – will probably be around his birthday time. I always loved Amicus’s portmanteau movies. In fact, the first Amicus movie I ever saw was a portmanteau film–Tales from the Crypt (featuring some wonderful adaptations of old E.C. Comics stories). Asylum is definitely one of their best! The Weird Tailor is still one of my favourite segments of any of their films. They are my favourites too, I love Tales from the Crypt – Joan Collins is fantastic! Asylum was always my favourite and I did find the Weird Tailor story the saddest, especially that acting from Cushing. Terrific review, Gill! I’m glad you enjoyed Aslyum as much as I do. Unlike many horror anthology movies, there isn’t a bad story in the lot. I loved your suggestion about a Team America-style riff of the final segment. Someone needs to make this happen! P.S. – So thrilled to have you as a co-host on this blogathon, and for suggesting the Amicus part. It wouldn’t have been the same with it. Thanks Barry, been a pleasure working with you too! 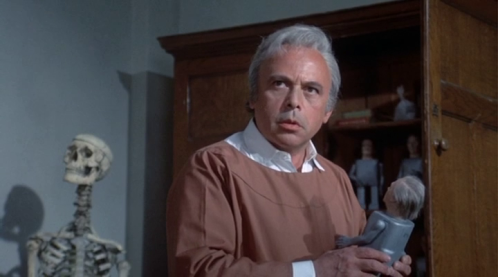 Would so love to see this parody too – I’m sure Herbert Lom would approve! Wonderful review on a film I had never heard of but now must see. What a cast—I too appreciate Lom and Todd in the delicious Dorian Gray, and Parkins proved herself an excellent horror heroine in the chilling Mephisto Waltz…now I need to add this one to my list thanks to you Gill!! Thanks Chris, always lovely to hear from you, and Dorian Gray on the to write up review pile, I loved the seventies spin on this story.